Purell® Healthy Soap® with natural moisturizers nourishes while cleaning to support your skin's natural ability to protect against dirt and germs. 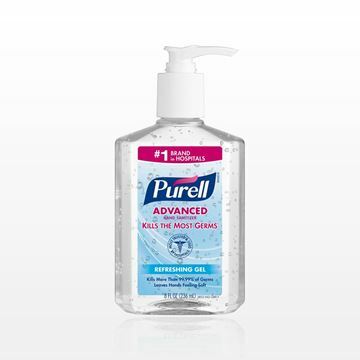 Purell® Advanced Hand Sanitizer kills more than 99% of common germs and keeps skin nourished with moisturizing ingredients. 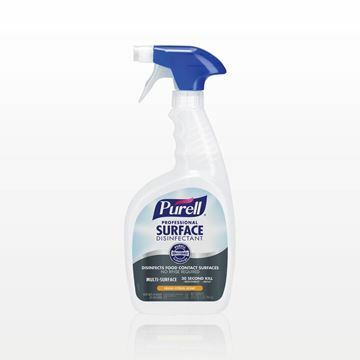 This Purell® Professional Surface Disinfectant is gentle enough to clean counter tops and children's toys, yet tough enough to wipe out fast-spreading germs and viruses! The patented formula, with Fresh Citrus Scent, kills most viruses in 30 seconds. 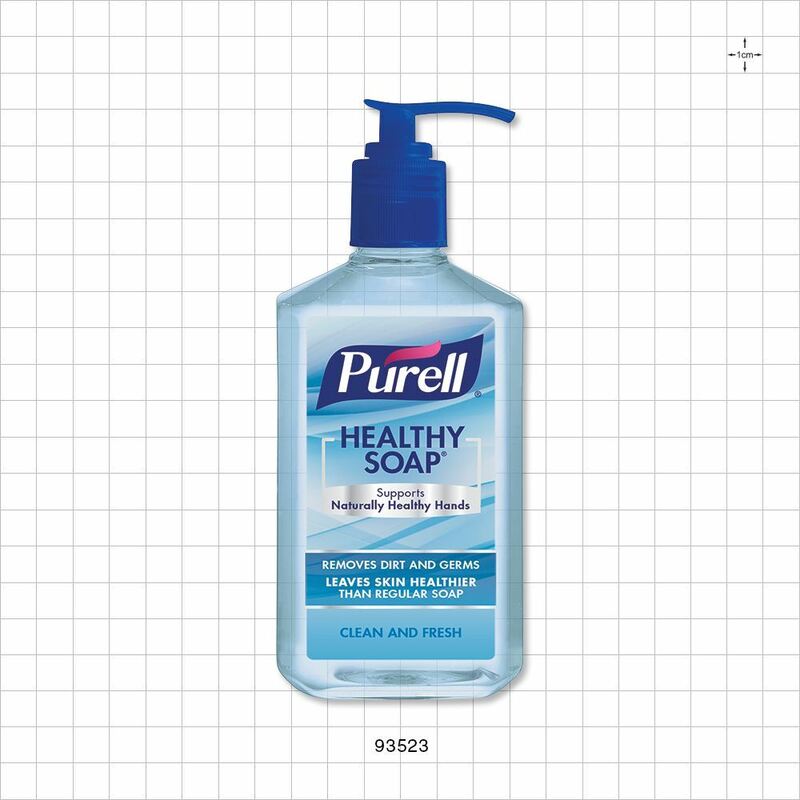 Formulated for food contact surfaces, no rinsing or wiping required. 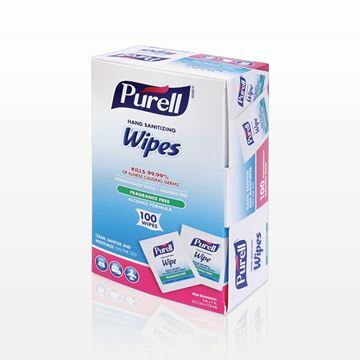 Ideal for instances where water or towels are not accessible, these Purell® Hand Sanitizing Wipes work to kill germs on-the-go without being harsh on the skin. Dermatologist tested and fragrance free. 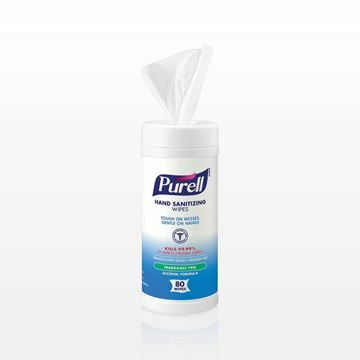 Ideal for instances where water or towels are not accessible, these Purell® Hand Sanitizing Wipes work to kill germs without being harsh on the skin. Dermatologist tested and fragrance free. 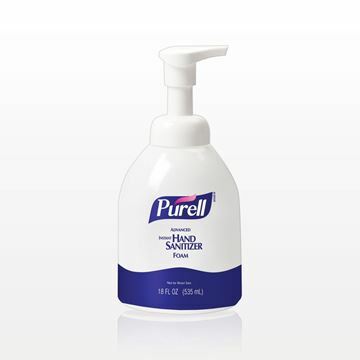 Purell® Advanced Instant Hand Sanitizer Foam kills more than 99.99% of common germs and keeps skin nourished with moisturizing ingredients. No rinsing or drying needed. 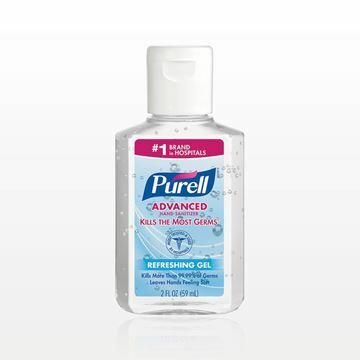 Purell® Advanced Instant Hand Sanitizer kills more than 99.99% of common germs and keeps skin nourished with moisturizing ingredients. 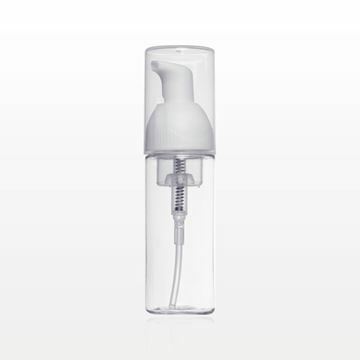 The flip-top cap and small size allow for easy travel.